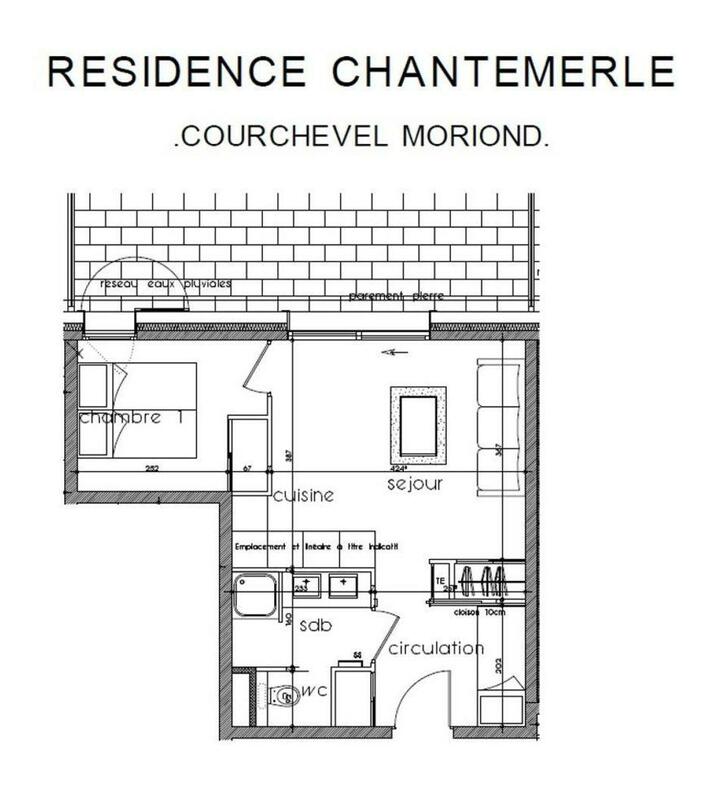 Small apartment T2 located in the new Chantemerle residence. It is located just 100 meters away from the snow front, and close to the shops and restaurants of Courchevel Moriond. This 4-person apartment is suitable for small families. It has a bedroom with double bed and a charming space with two bunk beds. They will make the happiness of the youngest. This apartment will be the perfect fits for a sportful stay! Family apartment for 4, the Chantemerle RC03 is located in Courchevel Moriond. Two footsteps away from the restaurants, shops and grocery stores. At the ground floor. 100 meters from the snow front. Cosy apartment located in the center, near-by the snow front; perfect for a small family.